Tata Hexa has repeatedly amazed us with its superior build quality and high passenger safety. There have been many incidents involving this Mahindra XUV500 rival that show how well-built the 7-seater Tata SUV has been. And now, a recent incident has once again proved this trait of the Hexa. 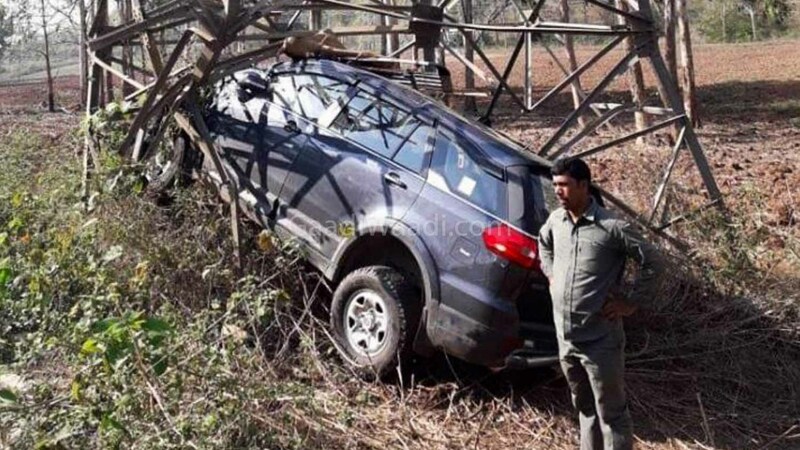 It has come to light that a Tata Hexa recently met with a crash in Kumsi, Shivamogga. However, the owner of the vehicle reports that there has been no causality and even praises the build quality of the vehicle for saving him and his family. 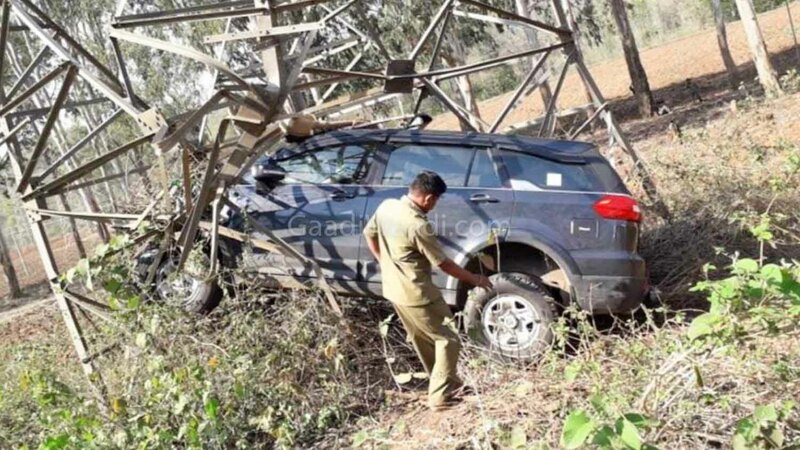 The Hexa that met with this mishap seems to be a lower-spec variant, which can be gauged from the steel wheels and it rammed on to a HT pole. The owner of the Tata Hexa even says that all the onlookers praised the SUV for its great build quality. He also says that the rescuers had easily opened all the doors to help the passengers get out of the damaged vehicle. While more details of the accident aren’t available, careful observation of the images reveals a highly mangled front-end, which even triggered the deployment of the front airbags. The Tata Hexa received an upgrade in February 2019. The 2019MY Hexa is available with revised colour options and a new infotainment unit. The new 7-inch touchscreen infotainment system for the Hexa supports Android Auto and offers a resolution of 800 x 480 pixels. It comes as standard across all trims. The 150 PS and 320 Nm producing engine is available only with a five-speed manual transmission in the base variant. The crossover is also on sale with the more powerful Varicor 400 motor. This engine offers 156 PS and 400 Nm. Transmission choices include a 6-speed manual and a 6-speed automatic unit. 4WD is available on the top-end manual transmission model and it comes with different driving modes.